Domestic and foreign medical device businesses in Vietnam are expected to enjoy favourable conditions thanks to a newly-issued decree. The Ministry of Health (MoH) recently held a meeting to announce Decree No.169/2018/ND-CP, governing the management of medical equipment, which amends some regulations in Decree No.36/2016/ND-CP. Because of its wide impact, the event attracted the participation of hundreds of medical equipment producers and suppliers. “Decree 169 is to create a legal framework for the management of medical equipment in the new development period amidst increasing international integration, while meeting international norms,” said Nguyen Minh Tuan, head of the MoH’s Department of Medical Equipment and Works. Under Decree 169, there are some changes. They include the amendment and supplementation of the concept of ‘medical equipment,’ regulations related to medical equipment containing narcotic and precursor substances, and classification of medical equipment, as well as the supplementation of cases allowed to adjust information in announcement dossiers, and of cases rapidly getting circulation registration numbers. Decree 169 also cuts some regulations in Decree 36 in line with Resolution No.01/NQ-CP on cutting business conditions. According to Tuan, despite several achievements in the implementation of Decree 36, some problems have emerged, causing difficulties for business activities. Some regulations overlap, while some business conditions and administrative procedures remain cumbersome, costing time and money for businesses and other stakeholders. Members of EuroCham’s Medical Devices and Diagnostics Sector Committee have many times proposed changes to Decree 36 to facilitate business. 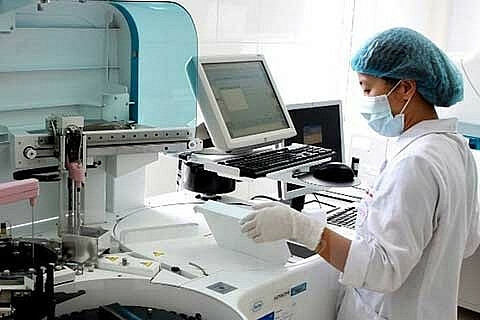 According to statistics from Social Insurance of Vietnam, over 3,420 pieces of equipment are placed in 59 provinces throughout the country via different forms of socializing medical devices.